Getting Started With Website Personalization? Here's a Handy Step-by-Step. Website personalization is increasingly vital in eCommerce marketing if you want your website (and by extension, your products and services) to be taken seriously. Fully 84% of today's customers expect some level of personalized treatment when they engage with your company online. Online users are also 2.1 times more likely to respond to a personalized offer than a generic one. 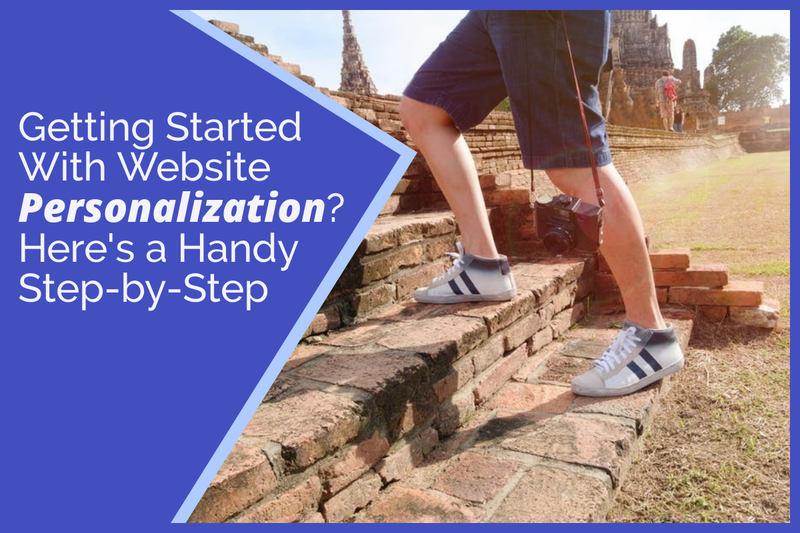 If you're just getting started with website personalization, you're making the move just in time. Maybe you've been hesitant up till now because personalized marketing sounds complicated, and you already have so much on your plate. Source Salesforce - https://www.salesforce.com/research/customer-expectations/We won't lie: It's not always simple. But you can start small and then build as you go. As you see the inevitable increases in customer engagement and higher conversions, you'll be encouraged to widen and deepen your personalization strategy. Let's look at the beginning process, step by step. How Many B2B Homepages Do You Need? 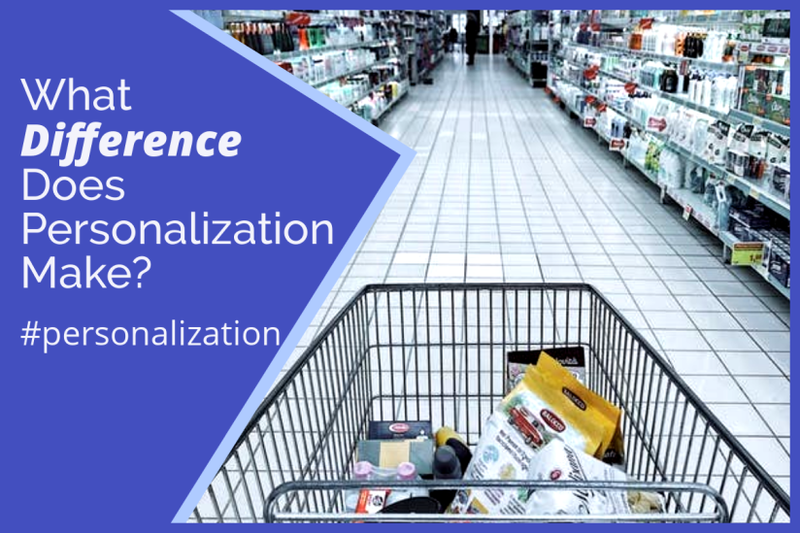 Website personalization has become a serious game changer in both B2C and B2B eCommerce. It all started with those first few recommendations on Amazon some 20 years ago — "You bought this, so take a look, you might also like this!" Personalized product recommendations are now standard in B2C eCommerce. But how does website personalization affect the B2B world, where purchases are often only made after lengthy consideration, rather than on impulse? It's time to look at the B2B homepage. The goal of your homepage is to encourage visitors to click through to discover more on your site. To get that response, your visitors need to see something that intrigues them, or answers a question they already have. By providing personalized content on your homepage, you send the message that you're the right company to solve your visitors' problem. It's natural for them to click deeper into your site once they see that. So how do you decide what to personalize your homepage? In the B2C world, consumers have embraced personalized websites in a big way, demanding that businesses cater to their specific needs. And customers respond with their wallets when companies follow through. B2B companies, however, have been a little slower to leap onto the personalization bandwagon. Increasingly, though, the employees at B2B companies, having become accustomed to personalized treatment when doing their own browsing and shopping online, want to see similar personalization on the job. Why should they respond to a generic sales pitch from one vendor when a different vendor has taken the time and interest to better meet their specific needs? As you consider the value of website personalization for your own company, it's smart to look at the B2B best practices that are currently fueling customer engagement. What Difference Does Website Personalization Make? We've all had the experience of walking the aisles of a supermarket looking for that one unusual item. Where, we wonder, could they possibly be hiding the mango chutney? In our search, we walk right past the rice and the chips and the tomatoes that are also on our shopping list. Then... sigh... we have to double back to find them as well. All too often, that's the experience of navigating an eCommerce website. What if, instead, you walked into the supermarket and found most items on your regular shopping list easily, just waiting for you, right next to the shopping carts? And when you mentioned mango chutney, someone went racing to find it, dropping it right into your cart for you. Wouldn't you shop at that supermarket forever ? That's the experience your consumers enjoy when you take the time to personalize your website. Let's look at how your website can provide connection, instead of frustration. As a B2B enterprise, you want to bring prospective clients and customers to your website. But it does you absolutely no good if users click through to your site — and then click away within seconds. You need to attract (and keep) their interest. That's the whole point of website personalization. When your visitors see a website that speaks to their unique needs, they tend to stick around. They explore. Sometimes they convert. As a B2B business, if you're not personalizing your customer experience, you're losing potential customers and harming the brand loyalty of existing ones. But let's assume you already know that. You're onboard with personalizing your landing pages. The next question: How exactly do you do that? How do you segment your B2B audience effectively to attract and retain the customers you want? Let's take a look at a few approaches. Thank you for contacting Polished Geek. We look forward to discovering more about your business. In most cases, we'll respond to you in 1 business day. However, if your request is urgent, please give us a call at (919) 275-0676 for fastest response. Be sure to leave a message if you don't reach us immediately. We will call you back as soon as possible. P.S. You may see us open a ticket on your behalf in our Client Portal using the information you just submitted. We do this so our entire staff can review and respond if needed to your request. A digital marketing agency specializing in eCommerce CRO (conversion rate optimization), marketing automation, website personalization and custom web development. The Joomla!® name is used under a limited license from Open Source Matters in the United States and other countries. Polished Geek LLC is not affiliated with or endorsed by Open Source Matters or the Joomla! Project.